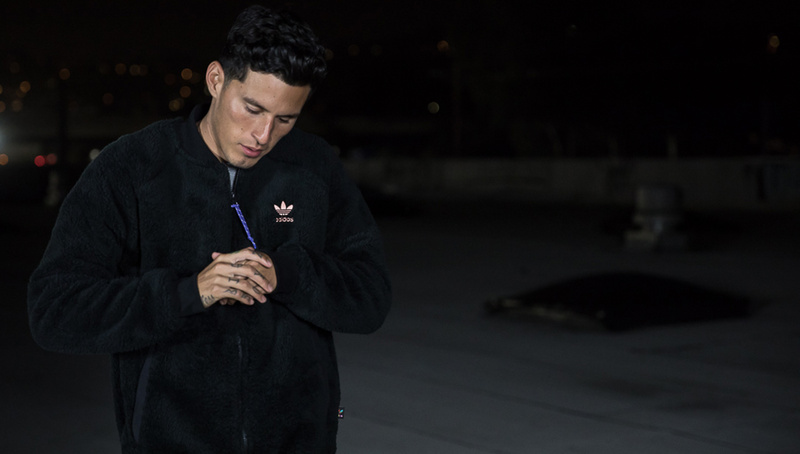 Born and raised in South Central Los Angeles, Feefa’s bilingual Latin trap sound stems from his youth days playing football in the streets of the City of Angels. For LA rapper Feefa, football is a rhythm. The ebbs and flows of the game can be likened to the ups and downs of life, as well as the complex rhyme schemes of a 16-bar rap verse. 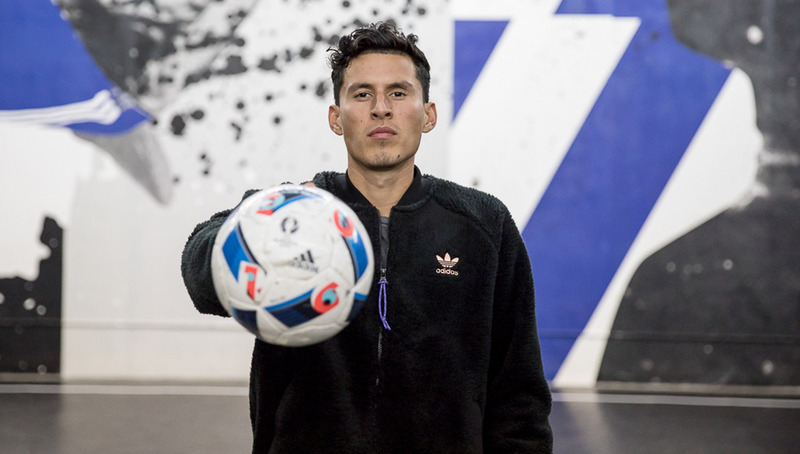 Born Edwin Acuna, he got his stage name because he was the only one in the hood playing FIFA — everyone else was playing NBA 2K and Madden. But while he may have differed in video game taste, he did not differ in his love for hip-hop. 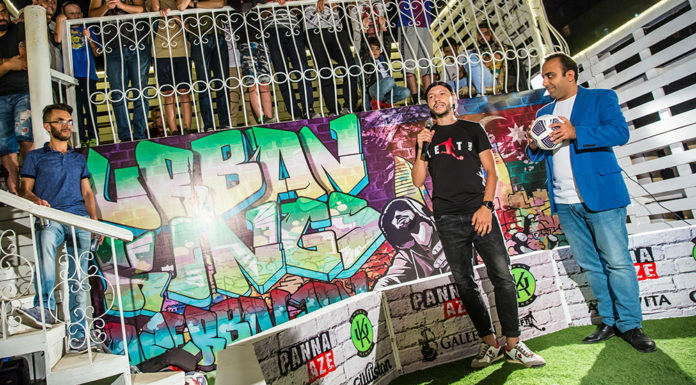 While football, his sport of choice, has yet to blend into hip-hop in the way that other sports like basketball have, football continues to influence street culture — be it art or fashion — and people like Feefa look to spread that influence to music. 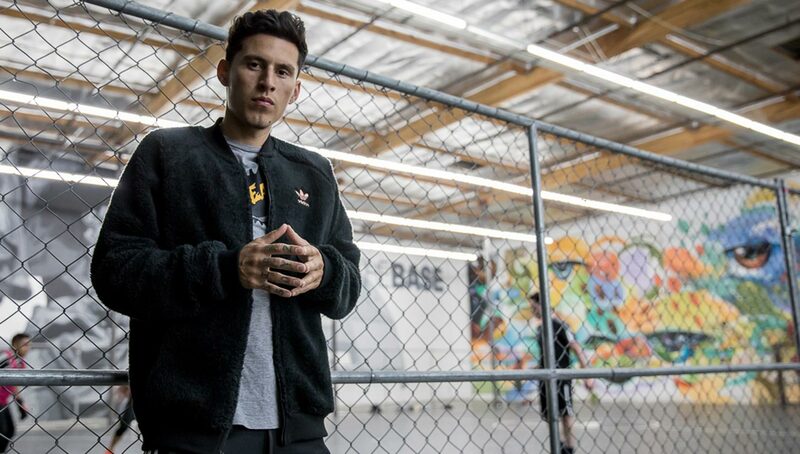 The 29-year-old rapper grew up playing street football in South Central LA and still plays for fun. After a back injury took him away from the competitive side of the sport in his younger days, a friend pushed him to take his writing talents and turn it towards music. Since then he’s been grinding — working, playing football, making music, and producing some really incredible videos, including his latest freestyle over MC Fioti’s “Bum Bum Tam Tam”, which features LA freestylers Caitlyn Schrepfer and Lizzy Calderon as well as street baller Ice Cold. His family is originally from El Salvador — his mom was a cleaner and his dad worked on cars and liked to gamble. While he didn’t have much music in family’s background, as a kid he would sing and play drums in church. His parents’ choice in music was merengue, but being born in and raised in LA in the early ’90s, he wasn’t going to be listening to merengue his whole life. From Kanye to Cam’ron, 50 Cent to The Game, and Lupe Fiasco to Pharrell — he became obsessed with hip-hop. What really pushed Feefa to start pursuing music more seriously was the watershed moment of the back injury. After landing awkwardly after going up for a header, he felt a pain shoot from his lower back through the rest of his body. Pressures to tough it out and keep playing caused him to exacerbate the injury. After continuing to try to play through it, he ultimately couldn’t bear the pain anymore and was forced to take a break. While taking that break he had time to turn his focus to music. But it wasn’t just writing things down, it was much more than that. Football had been Feefa’s escape, or his getaway as he often refers to it. 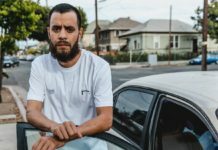 The pressures of life in South Central were immense, and as a young person he needed something to make him feel free and provide him with some much needed moments of respite. He also needed an ability to challenge and express himself in a way that wasn’t going to cause further physical pain to his body. Music became that outlet after he quickly impressed his friends with his writing skills. 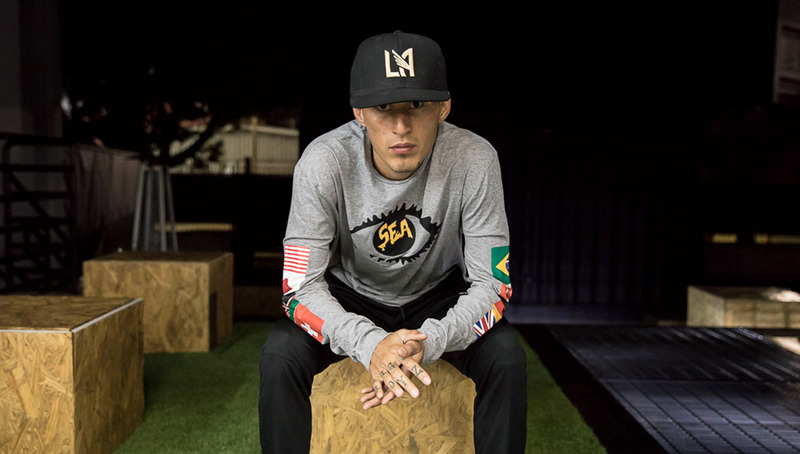 Since then, Feefa has worked his way up from the home studio to the real thing, and is preparing for his debut album Estilo de Vida/Life Style to drop in March. His songs have generated a buzz on YouTube and SoundCloud, and he’s ready to continue building on that success. He’s quick to point out that the journey has not always been smooth and easy, but the getaway rapping provides him makes it all worth it. 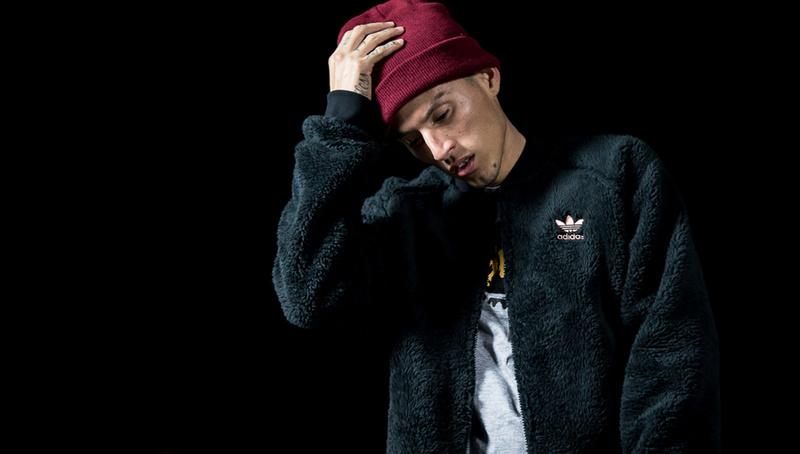 Where Feefa stands out from the muddled field of SoundCloud rappers is his bilingual trap sound. 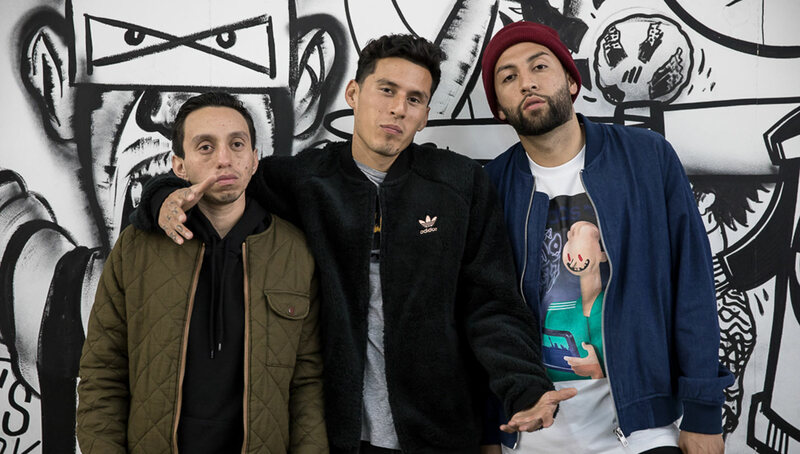 A lot of big time hip-hop artists are starting to jump onto the bilingual wave to try to appeal to the Latinx crowd but few can pull it off as authentically as Feefa. Since he grew up in LA speaking both English and Spanish, it’s not a conscious artistic decision to appeal to a certain fan base for him — it’s how he was really raised. Blending both languages is really the only option if he’s going to be as authentic as possible, and Feefa is nothing if not authentic. There’s no games, no gimmicks, no acting with him — what you see is what you get. 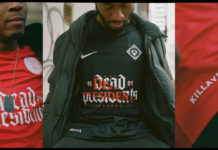 He’s honest about his upbringing in South Central, he’s honest about his ambition as an artist, and he’s honest about his passion for football. It doesn’t matter that the sport is not very mainstream in the eyes of the hip-hop world. Feefa isn’t here to do the same thing everyone else does, he wants to make a new path. Feefa’s message is for everyone to be boldly themselves, proud individuals, and unrelentingly unique, and it’s something that resonates on the football field as well. The strongest players are the ones who not only do what’s required of their position, but insert their personality on to the game and by doing so go above and beyond what is expected. Think of Ronaldo or Messi, think of the greats before them, it’s this attitude of defiant individualism that helps someone through the hard times and helps them overcome adversity. Their deep belief in themselves and their skills is their strength. 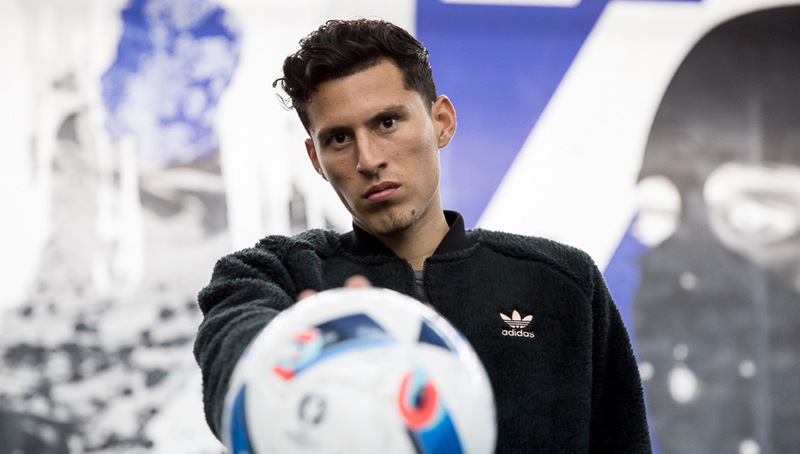 Feefa says, “We’re gonna be game changers,” about his music, but that confidence is something that was first taught, learned, and exercised on the pitch. Having grown up within both football and hip-hop culture, Feefa knows how to take the similarities and strengths of both to make himself better. While they are two definitively different things, there is a link between the two. The world that we live in now is defined by paychecks, jobs, and necessary payments. But the worlds of football and hip-hop offer something different. When you’re on the field your mission is clear, and the same can be said for the studio. Stay up to date with Feefa by following him on Instagram and SoundCloud, and subscribe to his YouTube channel. agreed. Great to see an artist that blends his love of football into his musical career. First ive ever seen some genuine unearthly freestyle skills on a music video too!!! Girls rock! Feefa is the man..! Looking forward to seeing big things from him.